Back to the grind.... Getting ready for work tomorrow and hanging with the family on my last day off Daryl. Just got back around 130 this morning from cortes bank and Santa Barbara island diving off the Peace dive boat. Good group of friends(Santa Cruz Kelp Stalkers), small dive club annual trip we do every September. To say the least it was exciting. Very different conditions we are normally used to out there. 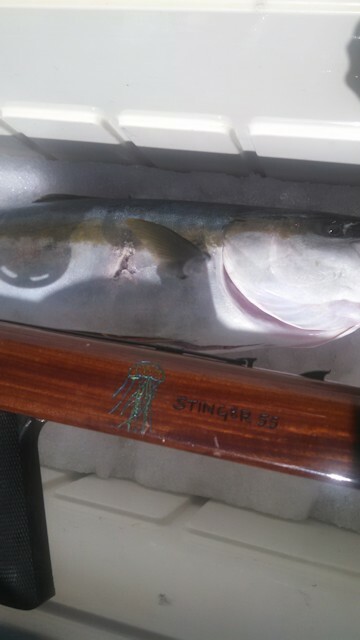 Lots of sharks this year, a couple of scalloped hammer heads, a couple of mako sightings and blue fin on the bank. The gun is awesome to dive with. Very manageable in the water and easily maneuverable. Shoot great! Laser beam with some good range for a 55 inch gun! I'm stoked on the overall capabilities of this gun. 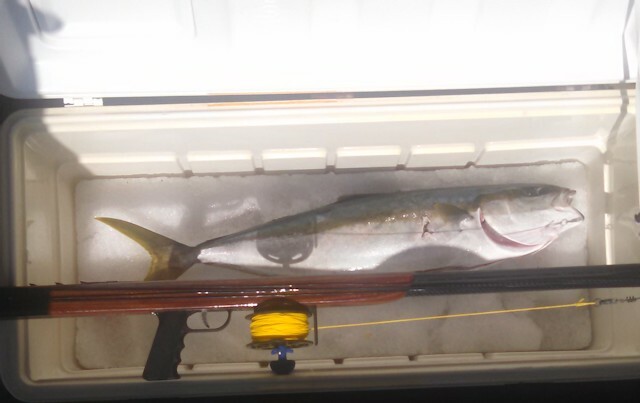 I found myself leaving my heavy wenge and lace wood tuna gun back at the boat and going straight back to the hybrid... :-) I hope you are well out there and I'm sorry for the lack of pics but I do not own a camera, and my phone was dead on the trip. I promise I'll get more photos for you with me in them next time.